How Do Energy Drinks Affect the Body? Why Do Energy Drinks Make You Crash? Energy drinks make you crash because of the ingredients most of them contain. 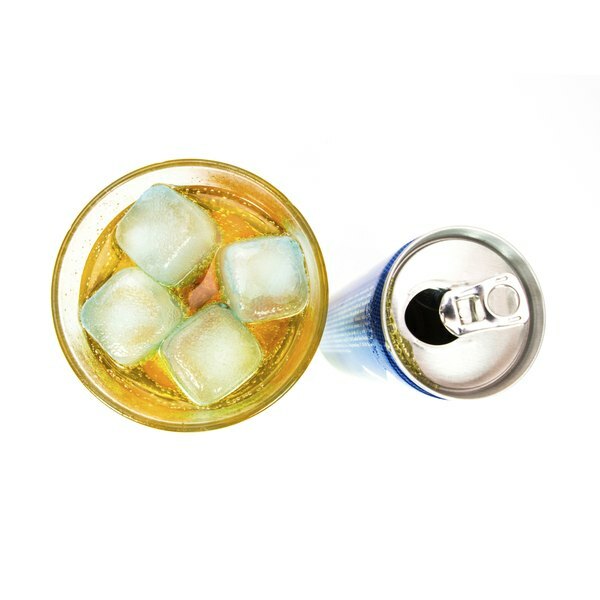 Most energy drinks, such as Red Bull, Monster, Full Throttle and Rock Star, contain large amounts of caffeine and often large amounts of sugar. Sugar, in particular, might give you a quick burst of energy, but it is almost guaranteed to bring you down fast and soon. Caffeine is proven to have benefits as an energy booster, but it gradually leaves your system as well. In addition, caffeine, especially in large doses, produces mild to severe side effects in many people. You probably are familiar with the term "sugar high." Sugar and fructose, both found in energy drinks, spike your insulin level for a brief amount of time, which translates into an infusion of energy. But it is short lived. When the sugar is used up, your insulin level will plummet and you will experience fatigue. "A sugar boost will just leave you lagging again in an hour," says Dr. Christine Gerbstadt, spokesperson for the American Diatetic Association. There is limited scientific evidence that energy drinks containing caffeine can significantly improve your mental and physical performance, driving ability when tired and decrease mental fatigue. However, it is not clear whether such improvements result from the caffeine or from other ingredients in the drinks. Even if caffeine does give you a boost, it may be too much of a good thing. A single energy drink can contain as much as 505 milligrams of caffeine, yet the safe amount of caffeine for adults is just 400 milligrams per day. For teenagers, over 100 milligrams per day is associated with elevated blood pressure. Other side effects from caffeine include nervousness, irritability, sleeplessness, abnormal heart rhythms, decreased bone mass and upset stomach. Energy drinks often contain guarana. As with coffee, guarana is another stimulant containing caffeine. When combined in an energy drink, caffeine and guarana can give you a big jolt of energy, often more than enough to cause you to crash when the effects of the two stimulants wear off. Another common ingredient in energy drinks, taurine, is an amino acid with dubious effectiveness in terms of producing energy. The March 2011 issue of "Pediatrics" reports that long-term use of taurine may lead to low-blood sugar. Energy drinks with alcohol, such as Four Loka, consisting of 12 percent alcohol, caffeine, taurine and guarana, have been popular on college campuses, but they also have been linked to a rash of illnesses and even some deaths. A survey reported in "The Nutrition Journal" found that 51 percent of college students who were questioned drank at least one energy drink per month. Twenty percent of energy drink users reported "weekly jolt and crash episodes." Another 22 percent suffered from headaches and 19 percent experienced heart palpitations. If you need a pick-me-up before a test or to stay awake during a long drive, a cup of coffee or tea is likely to be a better bet than an energy drink. Should You Drink Salt Water in the Morning? Does Caffeine Affect Sugar Cravings?